Manish has in-depth knowledge of the product, processes & the criticality of this function within an organization. He was the Director and Head of Sales and Operations in India for Nichiyu – A Leading Japanese forklift manufacturer. 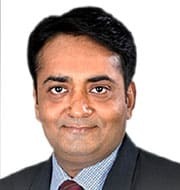 Manish has previously established and grown a forklift rental company in India, where he developed the concept of forklift outsourcing business with large Indian consumer goods companies. 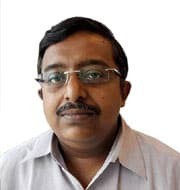 Niloy Dutta is a qualified Chartered Accountant from the Institute of Chartered Accountants of India and Cost Accountant from ICWAI, having more than 13 years experience in various areas of Finance & Accounts, Risk Management, Business Planning and Strategy in leading Indian conglomerates & MNCs. Has worked extensively with greenfield projects & start-up ventures in various sectors.